Fevipiprant is the first new asthma drug for 20 years and it can decrease the severity of the condition. The pill significantly reduces asthma-related symptoms and inflammation, repairs the lining of the airways and boosts lung function. According to ClinTrials.gov, the Fevipiprant pill is in the late stage of clinical trials to ensure that it is effective in severe asthma patients. Asthma is a long-term illness caused by a combination of environmental and genetic factors. This condition affects the airways of the lungs and the symptoms are breathing problem, coughing, wheezing and tightness of the chest. Every day three people die as a result of asthma attacks but, according to Asthma UK, two thirds of asthma deaths can be avoided. This new study was designed to check the effects on inflammation in the airway by measuring white blood cells. The inflammation measurement is known as the sputum eosinophil count, which is a useful tool in assessing the severity of asthma. 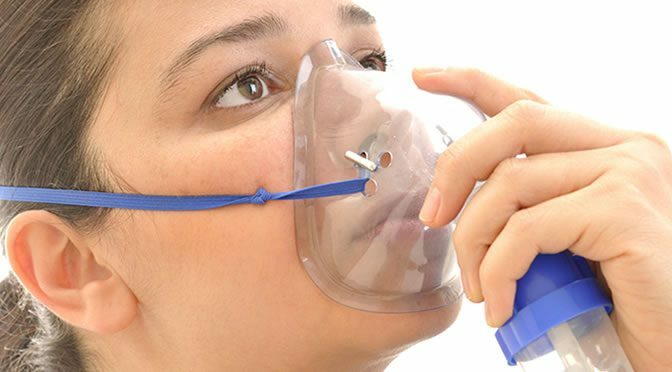 People with moderate to severe asthma have a reading of 5 percent, while people without asthma have a percentage of less than one. When the Fevipiprant drug was given to moderate to severe asthma patients, they showed a reduction from 5.4 percent to 1.1 percent. The patients took 225mg of the drug twice a day for 12 weeks in addition to their regular medications. “A unique feature of this study was how it included measurements of symptoms, lung function using breathing tests, sampling of the airway wall and CT scans of the chest to give a complete picture of how the new drug works. Most treatments might improve some of these features of disease, but with Fevipiprant improvements were seen with all of the types of tests. We already know that using treatments to target eosinophilic airway inflammation can substantially reduce asthma attacks. Gaye Stokes, a 54-year-old with severe asthma for 16 years, is one of the participants in this trial. “I knew straight away that I had been given the drug. I felt like a completely different person. I had more get up and go, I was less wheezy and for the first time in years I felt really, really well. The study was published in The Lancet Respiratory Medicine (Gonem et al., 2016).